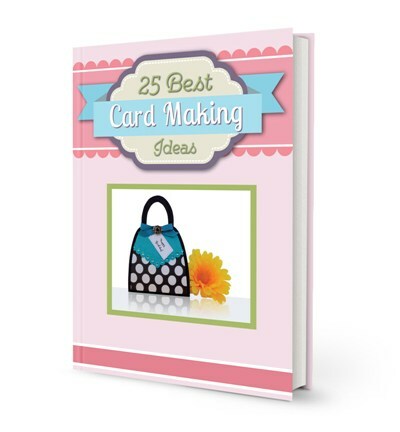 Create cute baby card ideas for girls or boys with adorable pattern paper. 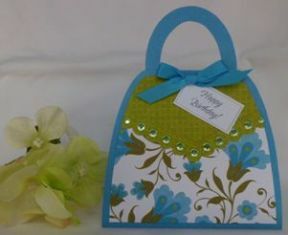 You can just about embellish your baby card using stickers, brads and trim with pastel or bright colors. This is a really easy baby card to make. 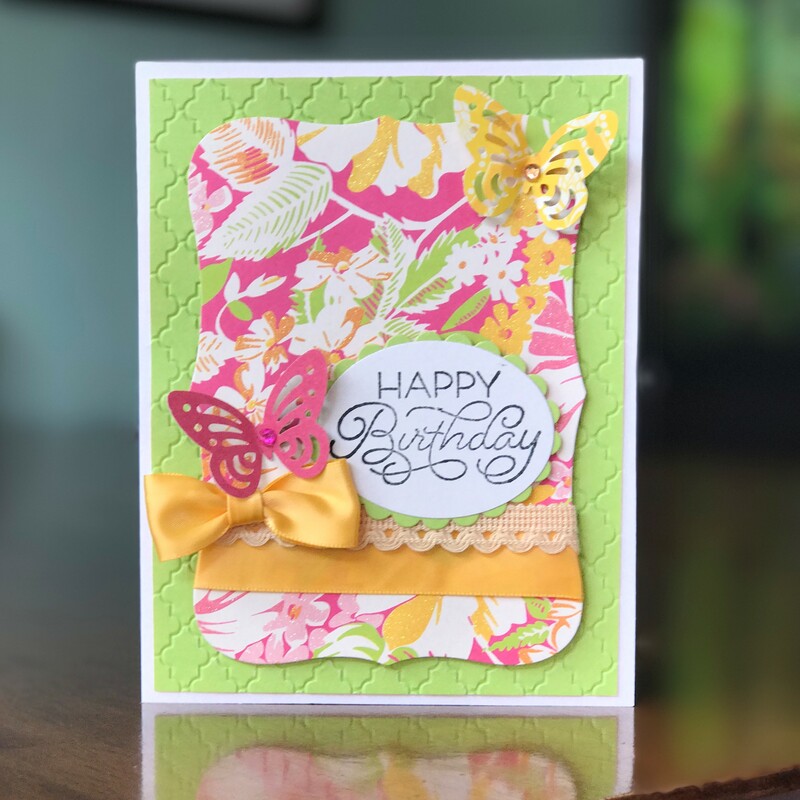 Just find a paper pattern you like and choose a coordinating color from the pattern paper to compliment the card. Next, find a sticker with the same coordinating colors or use your favorite baby stamp and color it the way you would like. This baby card can also be used to make boy card. Just switch out the colors from pink to whatever color you like. Pick die-cut shapes like planes, trains, cars, teddy bears or rocking horses, just to name a few examples. Handmade baby cards are fun to make because there are pretty prints to use. I used a print from a paper pack, Diecuts with a View Nana's Nursery. 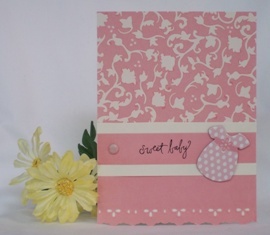 Pink is always a popular color for baby girl cards so you'll almost always find it in a paper stack pad for baby girls. For this card making project, I didn't want to use a colorful print because I wanted to use a chipboard sticker of a baby dress. I chose a cream and pink print and coordinated it with solid cream and solid pink paper. I used Fiskars' Embossing Border Eyelet Lace Punch along the bottom on this baby shower card idea. It creates a lacey look without having to use real, bulky lace. When making handmade cards, use rub-on letters, sticker, or stamps for your sentiment, I used rub-on letters that said "sweet baby" for this handmade baby greeting card. You can also use stick-on letters or use your computer to type out the sentiment. Finally, I added a pink brad to balance out the dress chipboard sticker. For your baby card ideas, you can add a very small shaped sticker if you don't have brads to use. This homemade card idea is a great design for making baby shower greeting cards or change out the colors for a boy baby card. Here's another baby card for a girl. 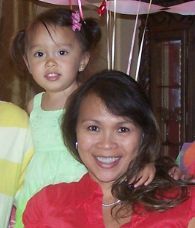 The dress is from the same box of chipboard stickers as the pink card above. The flower over the ribbon also came from the box of chipboard stickers. For this baby card, I coordinated stripes and polka dot and trimmed it with satin and a narrow gingham pink ribbon. The baby sticker is the focal point of the card. This baby card has green and blue colors. The sentiment is a sticker and I used foam tape to make it three dimensional. 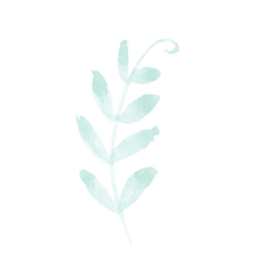 It's a real simple and fast card to make.